It’s really hard to make a good sequel to a hit movie. The filmmakers have to please fans of the first film while also adding something new to the mix to make the sequel stand on its own. But something that’s even harder to do is pull off a movie that can then have another sequel after it that’s as good as it, which leads to a successful long-term series. Star Trek II: The Wrath of Khan did that. So did From Russia with Love. It’s hard to think of many others. Here are 10 sequels that, for one reason or another, introduced some element that led to serious problems for later sequels. Each of these series kept going after their second film, but their third films are almost universally considered to be inferior to the first two films in the series. To be clear, I am not saying that the films on this list are bad. With that said, let’s start exploring 10 good sequels that sowed the seeds of their series’ destruction. Aliens is one of my favorite films. It is basically a perfect sequel. And that’s its problem. It’s so good that any film that came after it was doomed to not measure up. Alien did a perfect job of showing the terror of being hunted by a lone creature. Aliens did a perfect job of showing the excitement of going up against dozens of creatures. Any film that came after these two was going to be a copy of one or the other. 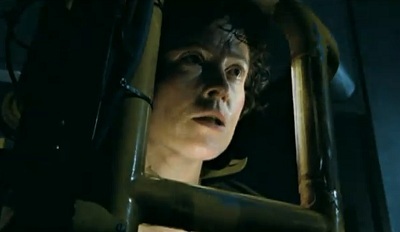 Alien3 couldn’t match the first film’s novelty or the second film’s characters and story. It killed off all of the surviving characters from Aliens and settled for being a depressing take on Alien. Various screenwriters tried for years to craft a film that could adequately continue the story after Aliens, but they all failed. They started shooting Alien3 without a completed script and that was just the start of the problems that plagued the production. After Cameron reached the peak of entertainment with Aliens, it was all downhill. I like it when a sequel has the courage to put its characters in a new environment and see what happens. The Karate Kid was all about Daniel LaRusso struggling to find his place as the new kid in town. 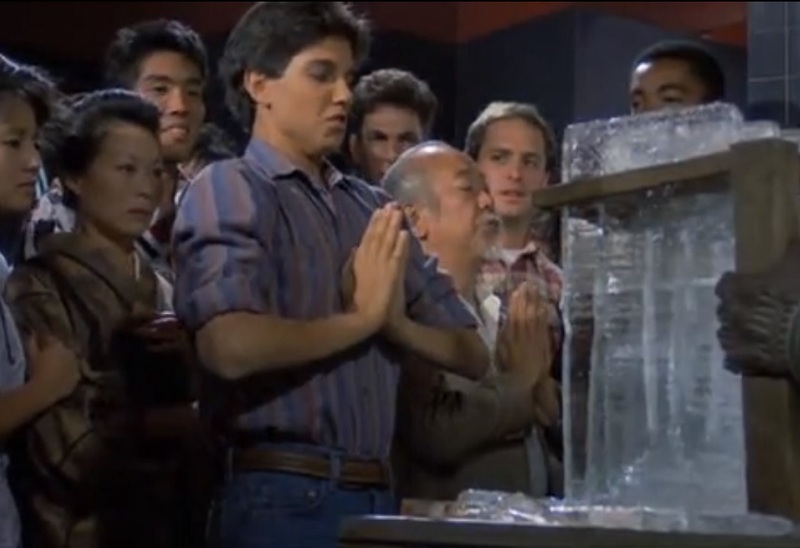 The Karate Kid Part II sends Daniel and his mentor, Mr. Miyagi, to Miyagi’s old home in Okinawa. There, Miyagi reconnects with his old flame, and they pledge their love to each other. Daniel also pledges his love to a girl he met during his visit. It seems like things are really serious between these two couples. And then in the third film, it pulls a Rocky V on us and unceremoniously dumps Daniel and Miyagi back in America where they learn that everything they’ve worked for is gone. And now we get the sense that Miyagi is shirking his obligations to his love once again. It seems like Daniel and Miyagi would have been better off making a life in Okinawa instead of returning to a miserable existence in California. The Karate Kid Part III can’t think of anything new for them to do back in the States, and it just recycles the plot of the first movie. What a shame. The second film did something really brave, but the filmmakers weren’t willing to follow through on its implications. The original Lethal Weapon had two unique and interesting main characters. 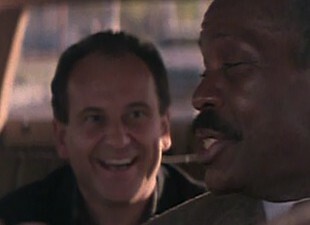 Lethal Weapon 2 introduced Joe Pesci’s informant character. He was great in that film, always cracking jokes and getting yelled at. But after that film he kept showing up, even when it didn’t make sense. He was the first of many barnacles to attach themselves to the series in the third and fourth films. By the time they got to Lethal Weapon 4, they were overloaded with characters while the story was almost totally absent. Thankfully, they knew when to quit and the once-great series petered out with that disappointing final entry. At least we’ll always have Loaded Weapon 1. I like to think of that as the true end to the series. Randy Meeks is the real star of the first Scream film, in my opinion. He’s the most self-aware of the good guys. He states the rules for how to survive a horror movie, and he is also in the best scene in the movie when he’s watching Jamie Lee Curtis in Halloween and futilely telling her to look behind her while Ghostface is slowly creeping up behind him. Talk about meta. When Scream 2 came around just a year after the first film, Randy felt pretty safe. He had survived the first film, and it looked like he was back for more fun, explaining the rules of horror-movie sequels, and narrowing down the suspects. But then the unthinkable happened. In broad daylight, Ghostface grabs him and stabs him over and over and over. He’s dead before the third act even gets started. That was a brilliant twist, and I don’t think anyone saw it coming. Unfortunately, it kind of hobbled the franchise. The third film feels hollow without him. In fact, it falls into a lot of the clichés and tired tropes of the horror-movie genre that Randy warned about. Sure, they shoehorned a video of him into it, but it was too little too late. Also, it didn’t help that Kevin Williamson, the writer of the first two films, didn’t return for Scream 3. For a while, Spider-Man 2 was my pick for the best superhero film. And then its sequel came out and forced me to rethink that position. In hindsight, you can see a lot of Spider-Man 3’s flaws creeping into Spider-Man 2. The long Aunt May monologues, the Mary Jane Watson drama, and the extremely sympathetic villain. All of these things were handled very well in that movie, and it’s only in comparing it to Spider-Man 3 that I notice how those could have gone wrong. 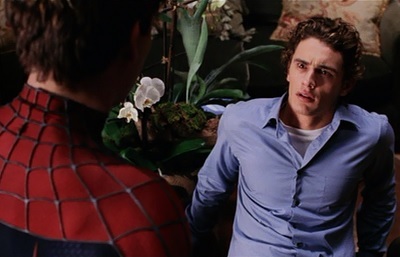 But even the first time I saw Spider-Man 2, I was troubled by the way it handled Harry Osborn’s story. Here’s a guy who’s obsessed with killing Spider-Man only to finally learn that his hated enemy and his best friend are the same person. And in that moment of crisis when Peter Parker could have defused the situation, he clumsily brushed it aside because of Doctor Octopus’ more imminent threat. Peter could have gone right back to Harry after defeating Doc Ock and explain everything to him. 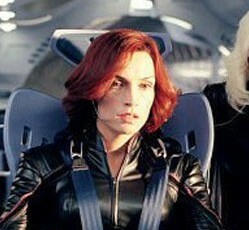 But no, the movie instead set up a contrived situation in which these two old friends wouldn’t speak at all between the second and third films, giving Harry time to go insane and decide to kill Peter. Spider-Man 3 didn’t need that unnecessary distraction. Venom would have been enough of a threat. Imagine if Harry and Peter had just patched things up between them when Peter suddenly starts acting more aggressive and it’s up to Harry to stop the Alien Symbiote from completely sapping Peter’s strength and soul. Now that would have been a great continuation of Harry’s story. I love Star Trek: First Contact. It’s a fun ride that pays homage to Aliens, Die Hard, and other great action films. I also like the side of Captain Jean-Luc Picard that it explores. However, that is not a side of Picard that has ever been shown before or since, so it just winds up feeling completely out of character for him. 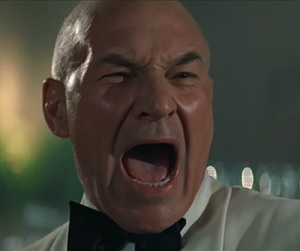 Sure enough, the next film, Star Trek: Insurrection, didn’t show an emotionally scarred Picard seeking peace among the simple-living Ba’ku, but the regular old Picard who’s as duty-bound as ever. After First Contact’s success, expectations were high for its follow-up. But rather than continuing the story, the next film just felt like an absurd distraction from everything that was happening with the Dominion War. First Contact is a good movie, but it really threw off the rest of the series as filmmakers tried to figure out how to either mimic or counterbalance its more violent and sexual themes. Sadly, the TNG films never recovered, and First Contact will always be its best and yet most out-of-place entry. The Empire Strikes Back is quite possibly the best film in the Star Wars series. Director Irvin Kershner and the writers pulled off a miracle, mostly working without interference from the studio or even from George Lucas. Lucas was personally financing this risky venture from his profits off the first Star Wars. He wanted to keep Twentieth Century Fox out of his way. Unfortunately, The Empire Strikes Back went over-budget, forcing Lucas to renegotiate his contract with the studio in order to get enough money to finish the film. The new contract took away many millions of dollars he could have reaped if he had been able to keep the production mostly independent. He learned his lesson after that. For Return of the Jedi, Lucas kept tight reins on director Richard Marquand and made sure the film got made the way he wanted. Then when the Star Wars prequels came around, he wrote the screenplays and directed them himself. All of those films have been wildly successful because of the brand name, but it’s sad to think what could have been if Lucas had been willing to continue to trust others with his vision instead of trying to do it all himself. Superman: The Movie has its share of tongue-in-cheek moments, but they’re pretty sparse, and the film is mostly played straight. But after director Richard Donner was fired and Richard Lester replaced him on Superman II, things started to change. 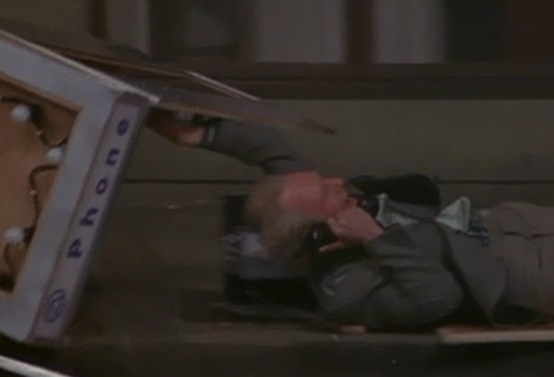 A lot more zany comedy bits were introduced, such as the backwards rollerskater and the laughing man in the telephone booth during the apocalyptic Metropolis battle. I actually like those insertions of humor into what would otherwise be truly horrifying moments, especially in a kid-friendly movie. But things took a turn for the worse with the next film. The makers of Superman III seemed to think that what made Superman II work so well was primarily its humor. But that’s simply not the case. While those jokes worked in a mostly serious story, they don’t work when they form the basis of the movie. Lois Lane tells Clark Kent at the end of Superman II, “You’re kind of a tough act to follow,” and she was definitely right about that. The other two Superman films in that series don’t even come close to the greatness of the first two. When James Cameron does a sequel, he seems to have a scorched-earth policy. There’s just no way to follow up his sequels with anything but disappointments. 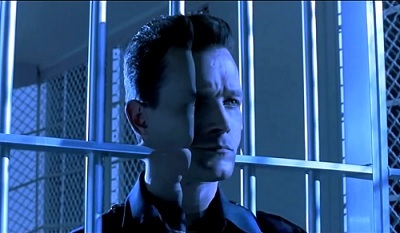 For example, how do you top the T-1000 as a villain? The answer is: you don’t. Robert Patrick’s merciless, shape-shifting machine looks harmless enough at first glance. But when he starts tossing the much-bigger Arnold Schwarzenegger through windows and turning his hands into knives to stab people, he becomes a living nightmare. Add in the fact that the CGI used to create his morphing effects was revolutionary at the time and still impressive today, and there is simply no way to improve upon the T-1000 as a Terminator villain. They can try replacing him with a woman, moving the story far into the future, or even rebooting the series, but they cannot recapture this lightning in a bottle. The first two X-Men films hint at a war brewing between humans and mutants. At no point did they bring up the possibility of aliens or even other organized mutant groups besides Xavier’s and Magento’s forces. So it was extremely foolhardy to tease the Dark Phoenix Saga at the end of X2: X-Men United when that wasn’t what the series was leading up to at all. We wanted to see sentinels more than Jean Grey become a demigod. The third film would have had to introduce the Hellfire Club, the Kree, and the Skrull to do this story right. But it would have been smarter to keep the story earthbound and centered on an actual war erupting between humans and mutants. Thank goodness X-Men: Days of Future Past finally came along a decade later and corrected this huge error. Again, I want to emphasize that I love all of the films on this list. They’re daring and original – exactly what sequels should be. But that’s what made them such tough acts to follow. For a myriad of reasons, these films were just too difficult to make equally great sequels to, and their respective series suffered as a result. I guess the third time isn’t always a charm. This entry was posted in Random Stuff and tagged action movies, aliens, comic books, empire strikes back, films, george lucas, james cameron, karate kid, lethal weapon, movie review, movies, science fiction, scream, sequels, spiderman, star trek, star wars, superman, terminator, x-men. Bookmark the permalink. Absolutely agree on Empire Strikes Back. I’ve said for years that Star Wars was a decent movie with all the elements to make it a pop cultural phenomenon, but Empire Strikes Back was the movie that solidified Star Wars’ legacy.